The latest project of the tuning experts at Carbon Motors is based on the Mercedes-Benz E500 W124, which was released in the distant 1990. The model is iconic for Mercedes because it was produced in close collaboration with Porsche and was actually hand-built by both brands. It features only four seats and the assembly of only one car took 18 days. Another interesting fact about the E500, is that it is driven by a naturally aspirated 5.0L V8 engine that was derived from the 500 SL R129 roadster. The unit produces 322 hp (240 kW) and 480 Nm (354 lb-ft) of torque. For its rough and clumsy looks combined with the powerful V8, the car was called by the press “Wolf in Sheep’s Clothing”. Performance tests prove that since the E500 achieves 0-100 km/h acceleration in 5.5 seconds on its way to a top speed of 260 km/h. Therefore such an emblematic car could only receive special attention, which in this particular case was focused on the interior. Nothing else but handcraft work was involved in the making of the cabin. The fully customized interior includes an abundance of leather and carbon fiber, which you can view in details in the opulent gallery below. 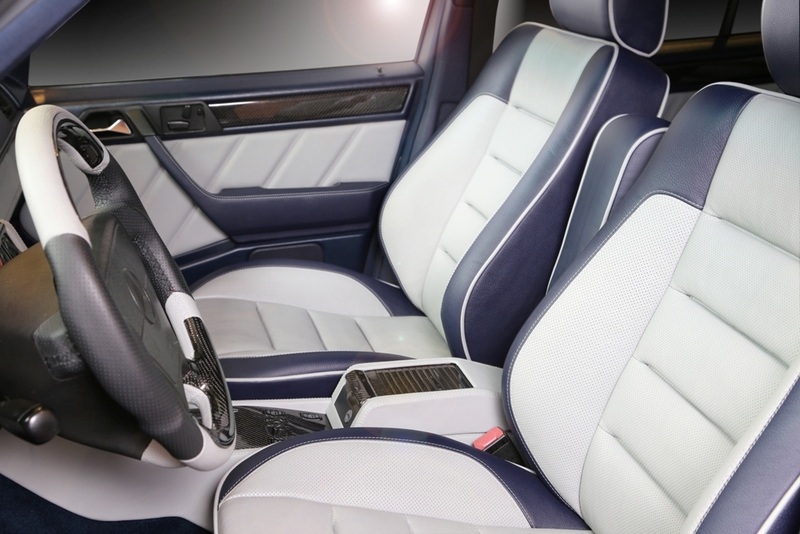 Two-tone leather upholstery in blue and grey is used for the seats, while blue Alcantara is the main choice for the headliner. 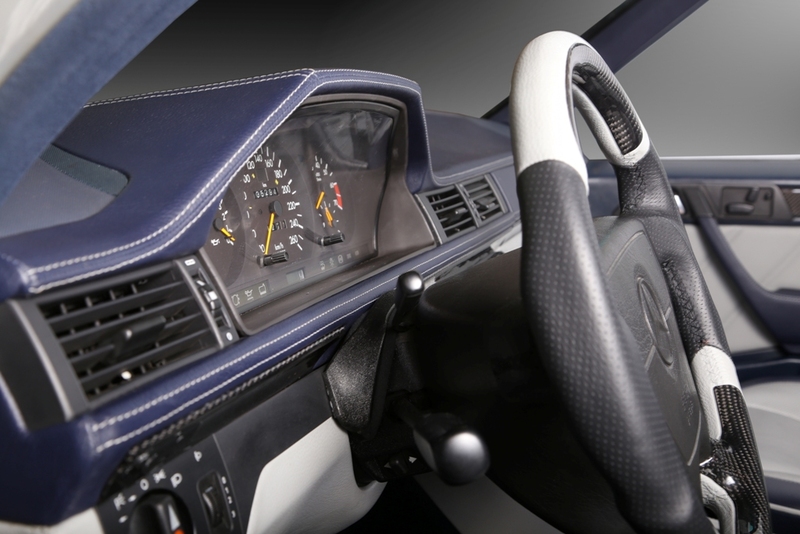 Blue leather was also used for the pillars and the dashboard. To keep the contrast, the latter also includes grey decorative stitching. Carbon Motors has its name for a reason and it is the love that the tuning company has for carbon fiber. We can see a lot of the lightweight material featured in the cabin. 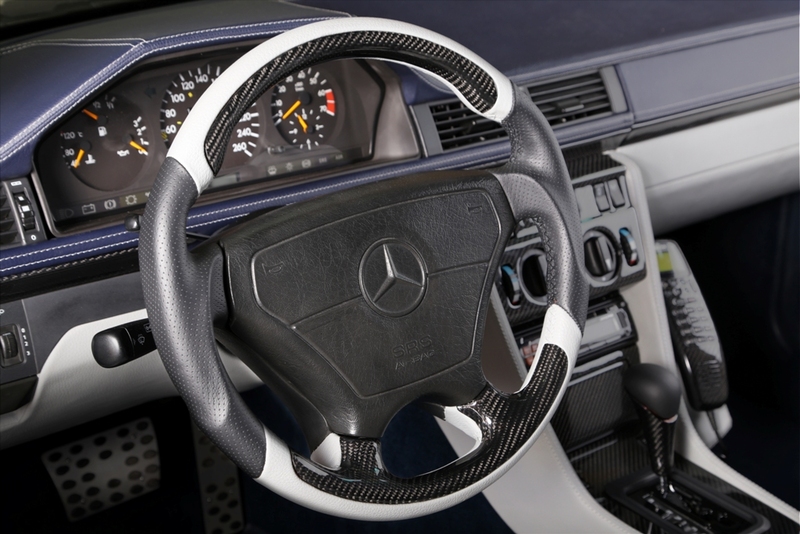 For instance, all of the interior trim panels and stripes have been coated in premium carbon fiber. The same approach has been used for the steering wheel’s panels and for the… Nokia phone, too. Well, that’s an unexpectedly cool project, isn’t it?